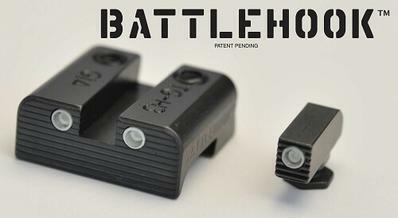 Battlehook - American Made. Military Grade. The reasons can be many. 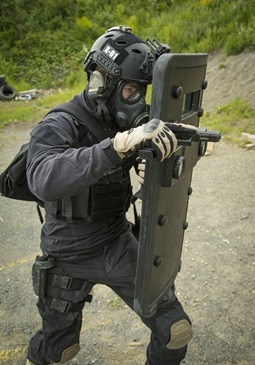 Whether you are a Law Enforcement Officer, Military Operator or a Concealed Carry Permit Holder, having the ability to operate the gun with only one hand may be your last line of defense. Our hook features a 10 degree forward angle for the most positive hooking ability. In any crucial situation it is paramount to be able to see your sights clearly. 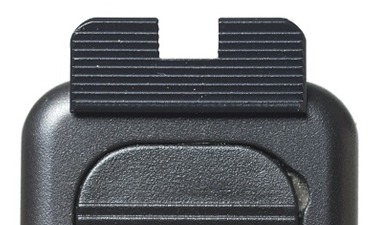 Our rear sights give you the best possible rear sight reference to quickly recognize what you need to see to hit your target. 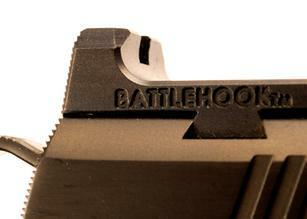 For each gun model we build what we determine to be optimal. Our sights are ready 24 hours a day, in day time or at night. Our tritium sights give you 24/7 ability to see your sights. I was a professional competitor for 15 years. Then I decided to build the best possible solutions for competitors and professionals. Our product has and will stand the test of time. We work with Law Enforcement, Military, Concealed Carry Permit Holders, Competitive and Recreational Shooters. At our company we always welcome a challenge. Talk to me Goose.